One of the most vexing questions for me as an expat in Mexico has been what to do about health insurance. The horrifying rise in costs of healthcare in the U.S. was a key factor in my coming to Mexico, as it is for many if not most expats. How much would full “catastrophic” coverage cost to be covered in both countries, insurance that would cover an emergency whether it was being trampled by an elk in Evergreen, Colorado or run over by a bus in Mazatlán? If you read up on what expats say about doctors, hospitals and treatments in Mexico, you will see the reviews are overwhelmingly positive. Patients summarize their praise with comments on how much less it all costs, from 50% less to a fraction of the cost in the U.S. They are grateful for both the quality of care they’ve been given and the quality of life they can still afford to keep. Of course the cost varies by doctor, hospital, and what illness you have, just like the U.S, but costs are almost always lower, sometimes to the extreme. For starters, in Mexico an office visit with a doctor or specialist will cost 350 to 500 pesos (about $30 to $43). Doctors still make house calls and those visits cost about the same. Lab tests will cost about a third of what they cost in the U.S. An overnight stay in a private hospital room generally costs less than $120. These should at least be filled with twenties. Expats who live in Mexico full-time or stay over 180 days at a time have either resident visas or visas temporals, the latter being something between a tourist visa and a resident visa. With either, you can apply for the two major public health insurance types available in Mexico, IMSS (Instituto Mexicano de Segura Popular) or Seguro Popular. IMSS coverage costs from 3,200 - 6,200 pesos ($177- $400 U.S.) a year. Many expats opt for IMSS insurance if they are covered in the U.S. by other insurance. They feel that IMSS coverage can cover them in an emergency if it arose and routine care, then if a major condition developed, they’d return to the U.S. for care. Seguro Popular, another type of insurance provided by the Mexican government covers Mexican's poor, but can be as good in quality as IMSS depending on what part of Mexico you are in. Both are no-frills systems, which have been compared to the U.S. system of HMOs (again, this must depend on where you are). The doctors in IMSS system work in the private sector too, meaning that people with private insurance see the same doctors as those who have IMSS insurance. Doctors in Mexico are required to divide their time between the private and public sector to earn their pensions. People tell me that the care in the IMSS system is excellent. The downside is not the quality of care from the doctors but rather the ease, or lack of ease I should say, of getting prescriptions filled, long wait times and the difficulty of making appointments (sometimes you have to make them in person - and then they still see people first-come-first-serve). If you have a hospital stay, you will need to provide your own nursing care. In the Mexican culture, where most people have extensive family networks, this makes a lot of sense. Rooms often have space and couches for family members to stay overnight. As an American without an extensive network, if you are part of a couple, the IMSS system would be workable if your spouse and friends could be reliable caregivers. Retired expats tend form strong networks for exactly this type of scenario. Part-timers who are here only a few months often opt for travel insurance, enough coverage to get them stabilized here, then home in an emergency. Travel insurace that covers health emergencies only is very reasonable. If you move to Mexico or stay there over six months a year, you might want to look into private insurance through a Mexican carrier, which is much cheaper than in the United States, unless you are subsidized by the U.S. government through Medicaid or ACA. Lacking the depth of social support I would need for the public insurance options if I were to live here full time, I decided to talk to a health insurance broker about private healthcare through a Mexican carrier. Me: What are greatest concerns of expats who come to you? J.C. - Catastrophic illness; cancer, heart disease or diabetes, for example. Me: What are some of the most important factors in choosing a plan? J.C. One of the most important factors to consider is the level of hospital included in your coverage, that the best hospitals are included. Here in Mazatlán, that would be Sharpe Hospital, Hospital Bilboa, Worldclass and Hospital Marina. You can also go to any other top level hospital in Mexico. Mexico City, Guadalajara and Monterrey are considered the cities with finest hospitals and specialists in the country [It's a very big country]. With these upper-tier policies, the insurers pay the hospital directly, rather than reimbursing you. Costs are easier to track here because hospitals use a single claim system. Me: What are the standard deductibles people take? J.C - Policies deductibles my clients take range from 25,000 to 35,000 pesos ($1,388 - 1,944 dollars based on an exchange rate of 18 pesos to the dollar). One important difference in Mexico concerning those deductibles is that a deductible applies to the lifetime of a single medical “event” or incidence. They are not paid every calendar year. If you are being treated for an illness multiple years, you don’t have to pay that deductible every year. You pay deductibles per diagnosis. Let’s say for example you got diagnosed with lymphoma. Your deductible, once paid for, would apply for the remainder of the period of your treatment. If you were diagnosed with a second illness however, you would have another deductible to cover. The insurance company pays a percentage of the bill, usually 90/10. It’s important when choosing a policy to make sure that the policy has a cap on how much you have to pay on co-pays. Typically, that cap should be 35,000 pesos ($1,945). Me: What are the considerations regarding age? JC: People who are considering retiring to Mexico need to understand that unless they are in terrific health, it will be very hard to get approved for a policy after the age of 64. The time to enroll is when your are healthy. Me: I understand that new health insurance policies do not cover pre-existing conditions, just like U.S. policies didn’t until Obamacare. J.C: That’s correct. The waiting period before you are covered for certain illnesses like cancer and diabetes can range anywhere from one to three years. This is another reason to get insured sooner rather than later. If you get diagnosed with a serious illness, you probably won’t be approved for coverage. Me: So you can’t get insurance at all if you have a preexisting condition? J.C. You can be covered but with exceptions, exclusions for that condition. You will have to pay the costs associated with that condition. Me: When I was looking on line for expat policies, there were many to choose from online. Why should I use a health insurance broker? J.C: Insurance brokers are familiar with the paperwork required to be admitted for surgery and what forms are required by doctors and underwriters. To guard against fraud there are a number of forms that require verification of identity for example. You might need someone who can help negotiate with insurance companies. If, because of an emergency, you are taken to a secondary hospital, the broker can orchestrate the process of reimbursement. Even if your Spanish was exceptional, that can be quite a challenge. People should make sure that they are working with a licensed broker, someone who has passed the exams and is authorized to sell insurance. For some years people were getting away with selling insurance without those licenses and the special training they require, although that’s been cracked down on in recent years. Me: What’s important to consider when choosing a carrier? Which are the best? J.C: If you are considering among the top 4-5, I’d advise to choose one with a local office in the city in which you live. Me: What about national health insurance [Public Insurance like IMSS and Seguro Popular]? Can expats get that? J.C: Yes, but you do have to have at least a Visa Temporal. Me: What about drug coverage? J.C: Medications are all covered by diagnosis. Me: I understand that you need to give the hospital your credit card when you’re admitted. J.C: Yes. Expats need to realize that they will need to have some cash available for some expenses that will be incurred at the beginning, x-rays and doctors visits for example. Some will be reimbursed. Some will be out of pocket. Medical insurance does not pay for everything upfront. When you think about upfront costs, tests, MRI's and blood work, you need to remember these costs would probably add up to a fraction of the cost of the same items in U.S. An MRI might cost a few hundred dollars. In the U.S.. the averge cost is $2,611. The costs is so much lower in Mexico that on so many procedures many expats self-insure if they are on Medicare. That is they pay for their treatment out of pocket and still come out ahead when compared to the United States (I know, I know...unbelievable). Even with medical insurance with a private carrier here, expats still might self-insure for minor, less expensive injuries. When a band-aid can cost $629 in the U.S., you question if there’s any such thing as a minor injury in the U.S. Unless you have a Cadillac American policy, having medical standard insurance in the United States has the potential of providing a false sense of security. We all have read or know people whose coverage has run out. Fifty percent of bankruptcies are caused by healthcare costs and many of those people have health insurance when they get sick or injured. Insurers are passing more and more costs on to consumers. Unless you have a chronic illness, it would be near impossible to determine what costs will be covered until you’re sick or injured. Many people blend a number of these plans and features. For example one couple I know who has public insurance in Mexico purchased medevac policies for several thousand a year for each of them. They often decide to keep their Social Security coverage and still purchase private or public Mexican insurance if they can handle the tricky business of establishing residency in both countries. Many people in the U.S. are scared silly that in the event of a major illness they would have to spend their whole retirement savings out-of-pocket costs until it’s gone. This scenario happens every day in our country. In addition to fighting for their lives, they are having to try to find resources to pay for care. You can’t just put your head in the sand because you still have your health. That's why so many still-healthy people are moving to Mexico. Monica Paxon's "English Speaker's Guide to Medical Care in Mexico." Barron's reports on the real cost of healthcare in retirement. While hard to pin down exactly, none of the numbers are good news. One of the great things about practicing Spanish with Skype practice partners is that you become enlightened to the fact that maybe they too have an excellent quality of life. So why do we only compare ours to the worst in the world, not the best? Most recent: Enjoy the arts in any major expat community in Mexico for less. Kerry Baker is a partner with Ventanas Mexico and the author of "If Only I Had a Place," on renting in Mexico. Her first love was writing the "Interactive Guide to Learning Spanish Free Online,' which is geared to older adults thinking about moving or retiring to a Spanish-speaking country. 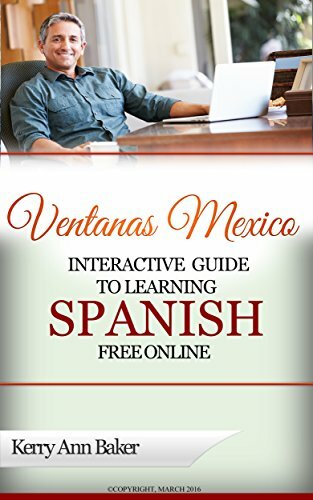 The Guide takes you, through interactive links, to the best free Spanish learning sites and features on the webs. Resources you would never find in a Google Search, like sites in Spain. You can learn Spanish later in life. Get the most out of expat life by starting today! 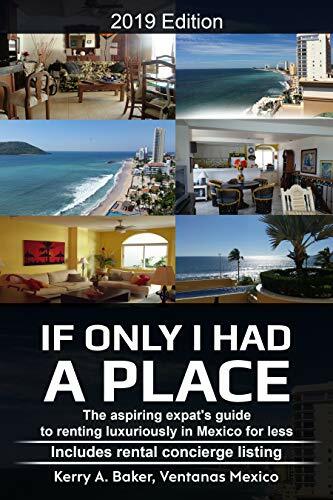 The second book “If I Only Had a Place” guides you though the process of renting in Mexico luxuriously for less. The rules and protections are different in Mexico. Read up and establish the infrastructure for the best possible life as an expat. Why Do We Only Compare Our Quality of Life to the Worst in the World?